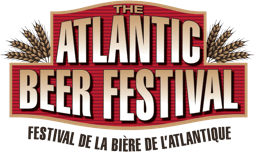 Tickets are now on sale for this year’s Atlantic Canada Beer Festival. The event will take place at the Moncton Coliseum Saturday, May 26th. There will be 2 sessions as in years’ past; one from 2:30 to 5:00 and one from 7:30 to 10:00. Tickets can be ordered online or purchased at the Coliseum Box Office, the Pump House Brewery, the BarnYard BBQ and Sobey’s stores throughout Greater Moncton. Tickets are $44.50 and include the cost of shuttle bus service after the event. More information for the event is available by calling 1-877-968-2337.